When Hilltop House’s head chef Joseph Zamora is dreaming a dish into being, the biggest consideration he makes is in the selection of ingredients. 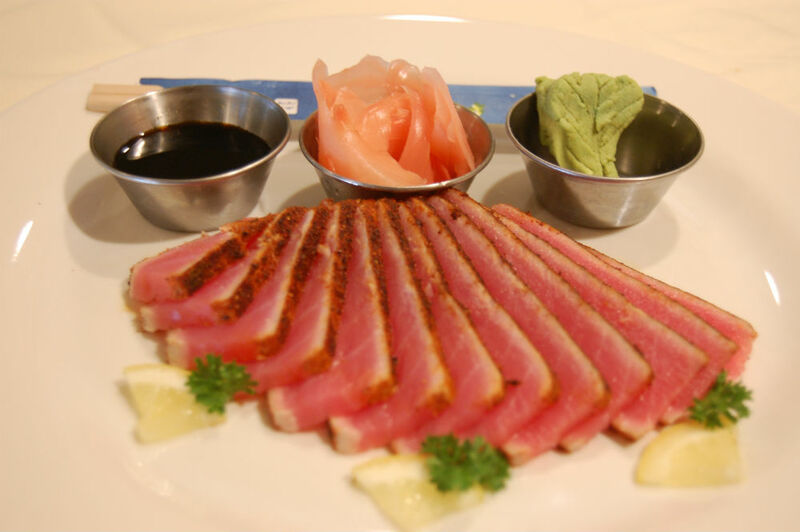 Choosing the freshest, best seafood in Coos Bay makes for the most vibrant, delicious dishes. Perhaps more than any other ingredient, selecting the freshest fish requires a host of senses: smell, touch, sight, and eventually taste all play a key role. When done right, the end result is what the World newspaper describes as the best restaurant in Coost Bay. If you are looking for an abundant, sustainable, and delicious meal in Coos Bay, consider trying some of the Oregon Coast’s world-renowned Dungeness crab. Calling the cold Pacific eelgrass beds home, the Dungeness Crab is known for its delectable, sweet flesh and remarkable abundance. In fact, Dungeness Crab is the most profitable of all the seafood caught in Oregon fisheries. Chef Zamora takes great care in selecting the best Dungeness crab in Coos Bay, looking for the healthiest and most lively specimens to grace the tables of his diners. Pink shrimp, also known as Pacific prawn, comprises the largest catches made off the Oregon coast. A Coldwater shrimp, the Pacific prawn lives longer and grows larger than its warm-water brethren. Thanks to the consistently massive catches brought in from the icy Pacific waters every day, chef Zamora has a substantial selection to choose from. Carefully examining each shrimp reveals which are fresh and which are not (black spots anywhere on the animal is a sign that it is not the best shrimp in Coos Bay) and guarantees the only the highest-quality shrimp make it to the plate. Among the most famous of the Oregon’s seafood and a staple of the best restaurants on the Coast, albacore tuna is renowned the world over for its rich, flaky flesh. Though some tuna species can grow to be truly massive, albacore are typically less than four feet long. The best tuna in Coos Bay will be almost translucent when raw, displaying a brilliantly deep color when at its freshest. Luckily for diners in Coos Bay, Hilltop House only serves the freshest hand-picked albacore. The Oregon Coast’s silty, slippery bottom is host to a number of delicious groundfish. This diverse group of animals includes Dover sole, rockfish, and black cod among many other varieties. An excellent-quality groundfish will have shiny, lustrous scales, an even and unmarred body, and clear and glinting eyes. Most groundfish species take to being breaded and deep-fried very well; it is these types of fish one usually finds among chips in the classic British presentation. Chef Zamora examines each whole fish he will prepare, selecting only those fish who display the best attributes of their species. Though often thought of as a basic bait fish, Sardines are also well-known in classic applications where they are salted, dried, smoked, or otherwise preserved. Thanks to their small size and delicate bones, it is traditional to eat sardines whole. When used in recipes, sardines (especially those which have been preserved) impart a deep oceanic umami that reminds the eater of a salt-sprayed coastal excursion. Though almost never a featured entrée, sardines sneak into many dishes. The most well-known use of sardines may be as a component of Caesar salad dressing. When he needs sardines, Chef Zamora looks to the most discerning producers for the best fish he can find. The North Pacific hake, also known as whiting, is one of the most important species fished off the Oregon coast. Its careful management is essential to ensure an adequate quantity of this prized fish year-round. Its delicate, mild flesh requires a gentle touch to bring out all its delicious, nuanced potential. When Chef Zamora is looking to create a hake dish, he chooses those fish who have a mild seawater scent (not a “fish smell”), bright eyes, and orderly, intact scales. Though freshness is not as much of a concern when the catch has been brought in that same day, Chef Zamora still looks for the best seafood on the Oregon Coast for every dish he creates. The mighty pacific halibut is a welcome site on the menus of the best seafood restaurants in Oregon. This massive flatfish sets itself apart from its groundfish cousins both in its sheer size and the method used to land it. Whereas groundfish are taken year-round, those who seek to catch Halibut have less than one full day to secure their fish. This makes Halibut very valuable on the Oregon coast, a fact often reflected in its premium price. For that premium price, however, one gets what is considered by many to be the best fish on the Oregon Coast, especially when selected by Chef Zamora. Pacific salmon are probably Oregon’s most well-known fish species. For centuries, the first inhabitants of the region relied on the annual salmon migration for much of the protein in their diets. 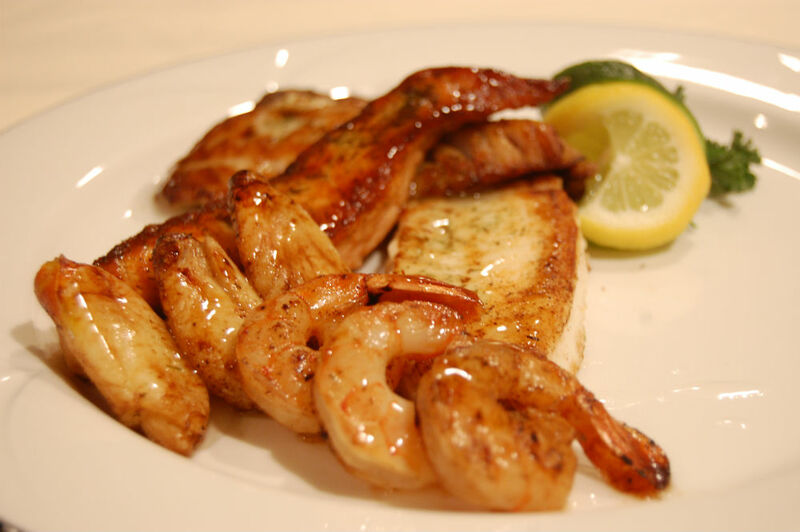 We continue to enjoy this fantastically flavorful fish today. Rich in minerals, the Pacific salmon’s distinct flavor is best enjoyed with minimal interference from other strong-tasting ingredients. Chef Zamora is well-versed in selecting the best salmon in Oregon… and when you taste the way he handles this most famous of Oregon fish, you be glad he is. When you are looking for the best seafood restaurant in Coos Bay, look no further than chef Joseph Zamora’s Hilltop House restaurant. Hilltop House specializes in the kind of dishes that exemplify the Oregon Coast food scene: bright, fresh, and gently-handled food that straddles the line between tradition and innovation. Lesser seafood restaurants try and hide the flavors of less-than-fresh seafood under layers of assertive flavors; in the best restaurant in Coos Bay, however, Chef Zamora only chooses ingredients he is confident will stand on their own. Come experience the best Oregon Coast seafood has to offer. Call and book your reservation today.